The Russians now occupying the area were pushing for the fusion of the Social-Democratic Party (SPD) and the Communist Party (KPD) to create a United Socialist Party (SED) which could be a camouflage for the Communists. Jelinek denounced this move: "The Communist Party plays the role of a fox who wants to calm the fears of the hare by making out he is a vegetarian." In June 1946, the Zwickau Circle - made up of old readers of Zeitgeist and workplace activists was formed. It started sending out information circulars to anarchists in the Russian zone and in West Germany. Jelinek re-established contact with Reimers, who had started building an anarchist organisation in Hamburg. When the united SED Party was founded, the Communists called on Jelinek to leave the presidency of the council - which he refused to do. The Zwickau Circle set up an Information Bureau and sent out circulars exposing the insurmountable practical problems in the Russian zone: the editing of a paper, the use of a duplicator, were forbidden. Nevertheless, they resolved to continue. 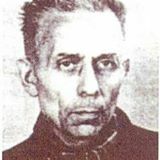 They decided to forget about the anarchists like Rudolf Michaelis who had joined the SED and to address themselves to the new generation and to the workers, showing them the nature of Stalinism. At the end of 1947, Jelinek wrote a pamphlet which would never be published. He denounced the 'dictatorship of the proletariat' “which signifies the authority of the leaders. Where there is obedience, there are leaders who command”. All dictatorship meant the rule of a minority. Distribution of leaflets and letters became more difficult. The police kept a constant watch on Jelinek. He took the precaution of transmitting the Zeitgeist subscription list to Willy Huppertz in Muhlheim in the Ruhr, in West Germany. On November 10th 1948, he was arrested by two Russian officers accompanied by an interpreter and by an official of the German criminal police. His wife and son-in-law were arrested - and the latter disappeared without trace. Visited Bautzen last week. The camp where Jelinek died is still in use as a penitentiary so it has had continuous use since 1904, including by the Gestapo. Bautzen 2 in a leafy suburb not far from the town centre was set up in 1906 and is now a museum. Bautzen 2 was also used by the Russians and then the Stasi. A grim place but then aren't all prisons grim places?